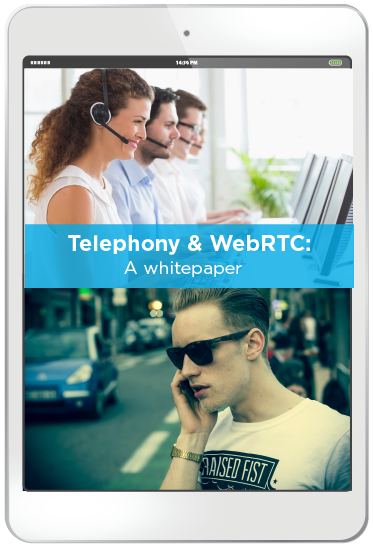 Download our whitepaper to learn about the relationship between telephony and WebRTC and how Frozen Mountain's products can help you integrate telephony into your video conferencing solution. How to add telephony to your video conferencing application. Telephony integration is an important and often overlooked part of WebRTC projects. With the pervasive use of mobile devices , telephony is powerful option for connecting people into video conferences. Telephony concepts such as PSTN, PBXs, VoIP and SIP and how they fit into the world of WebRTC. How you can integrate SIP-based telephony into your video conferencing solution.